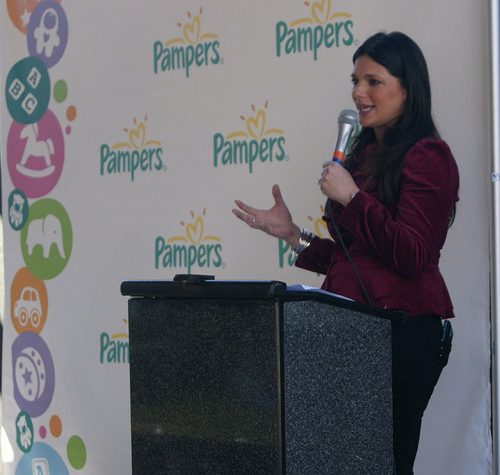 On December 7th Pampers launched their campaign alongside dozens of Los Angeles Hispanic moms and babies. Pampers and the urban artists known as Retna and El Mac came together for a celebratory event at MacArthur Park Primary Center in Los Angeles, a pre-school and kindergarten center with a 95 percent Hispanic student population. Pampers introduced the different campaign elements including the donation of a new school mural that will be developed over the next weeks by the two artists. 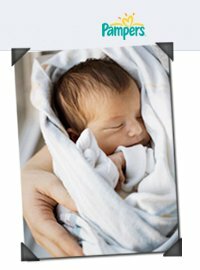 The new artistic creation will be titled “Every Little Miracle” and was commissioned by Pampers to portray the real-life miracle stories of many Latino babies as told by their families. Well said Barbara. I, too, feel that as a Latina working mom, the challenges are always present but with love of our community, friends, and family we will succeed in all our endeavors and our children will continue to make strides in the Latino community. My 7 year old daughter is certainly my little miracle and I am so happy that Pampers has taken the initiative to make it known that every child is a little miracle. Like Pampers Latino on Facebook and help make a difference in this journey, as mama’s. You can share your story and read others’ stories too! Pampers is a trademark of Procter & Gamble (NYSE: PG) and the company’s largest global brand and is the world’s top-selling brand of baby diapers. Our business is inspired by babies and toddlers, created by Pampers. For more information on Pampers diapers and the Pampers Parenting Network, visit http://www.pampers.com/. Four billion times a day, P&G brands touch the lives of people around the world. The company has one of the strongest portfolios of trusted, quality, leadership brands, including Pampers®, Tide®, Ariel®, Always®, Whisper®, Pantene®, Mach3®, Bounty®, Dawn®, Gain®, Pringles®, Charmin®, Downy®, Lenor®, Iams®, Crest®, Oral-B®, Duracell®, Olay®, Head &Shoulders®, Wella®, Gillette®, Braun® and Fusion®. The P&G community includes approximately 135,000 employees working in about 80 countries worldwide. Please visit http://www.pg.com/ for the latest news and in-depth information about P&G and its brands. « SWAGG App Review & Giveaway!